Problems in the end-of-life care setting are so egregious that the U.S. Department of Justice warned us that non-terminal patients (who require little care) are put into hospice to milk the system. But what happens when those non-terminal patients live long enough to justify significant billings to Medicare and the cap on reimbursement is reached? Some families and nurses report that patients are then overdosed and die. Conveniently for the killers, the adverse effects of morphine overdose are exactly the same as the natural phase of dying; blood pressure drops, breathing slows, then comes coma, then death. One woman told me that she heard a hospice nurse boast, “I’m just like Jack Kevorkian. But I do it with morphine and get away with it.” Reports like this have come into my organization, Hospice Patients Alliance, for years. I know these killings are not isolated incidents. They are characteristic of routine treatment that deprives the most vulnerable of their very lives. Another woman called from Baltimore to tell me that her father, who had Parkinson’s disease and was not terminally ill, was hauled off to hospice and died shortly thereafter. Sisters from Georgia reported that their father, who was in a hospice facility, resisted by shouting that he didn’t want morphine. Previously he had reacted terribly to it, but was injected anyway and then he died. Afterwards, the coroner refused to do an autopsy despite the daughters’ pleas. It turned out that the coroner was linked financially to the hospice. 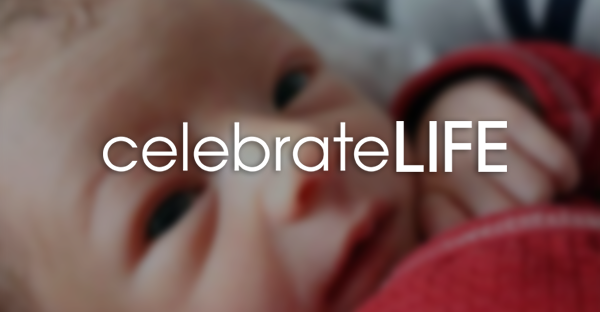 Dame Cicely Saunders, a pro-life physician, founded the hospice movement in 1960s England. Her Christian vision of caring for the dying inspires hospice workers, patients and their families alike when they realize what excellent end-of-life care can do for everyone involved. Mother Teresa demonstrated that mission, valuing the lives of “the least” among us. It is a mission that recognizes suffering as a part of life, yet urges us to lovingly relieve it. However, almost anyone who’s been a patient in the healthcare system would warn that we have to be vigilant for ourselves and our families. Without considering unintentional errors, be forewarned that certain things can be done to “help” patients along into death and so a patient needs others who will aggressively look out for his interests. When the patient is not immanently dying, an early sign of danger is the need to ask for and insist on basic services such as oxygen or antibiotics. Some physicians subjectively determine that a patient has a “poor quality of life” and they end routine treatments to hasten death. In addition, guardians may imprison patients in facilities against their wishes, plundering patients’ estates, filing for insurance settlements and taking out life insurance policies on their victims. Such is the case with Michael Rowe of Michigan. At age 16 he had a motorcycle accident and suffered a brain injury. Mike progressed over 14 years regaining some mobility, going to school, developing friendships and dating women. In order to train for independent living, he agreed to be put in a rehab center, but became the victim of a guardian company. For 12 years, Mike has received no rehabilitation, he is denied visitors and when he tried to escape, he was returned to the center against his will. A former nurse from the rehab center helps Mike’s family. They found that all this is done with the sanction of a judge, who refuses Michael his legal right to a change of legal guardian. Few people are aware of the severely disabled or elderly who may languish for years, often screaming futilely for help and minimally humane care. “Death by Medicine,” a report by several medical doctors, details these tragedies. Lonely and abandoned, such patients exhibit blank, ghoulish stares reminiscent of concentration camp victims. If they will not die soon enough, some nursing homes even call in hospice workers to facilitate premature death. 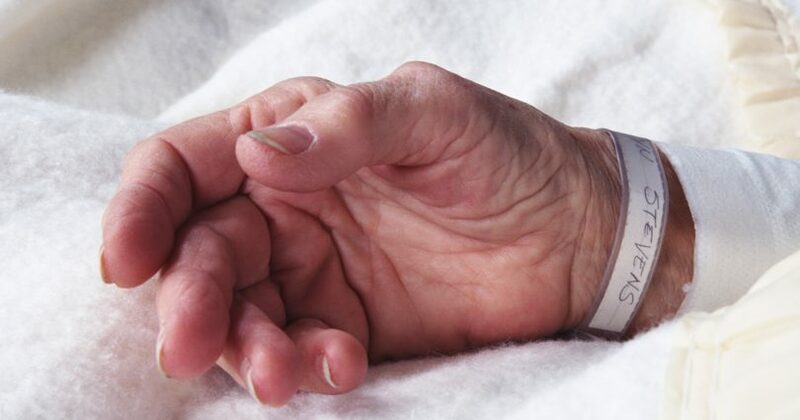 Many residents experience hospice at its most lethal, receiving no food or fluids, increasing dosages of morphine and sedatives, until a patient’s life is snuffed out. A 2001 congressional investigation confirmed that many patients are being abused, neglected or dying early in nursing homes, which are supposedly healthcare settings. That’s because short-term goals for profit, along with obscene administrators’ salaries, take precedence over patient care. Many healthcare agencies, including hospices, cut corners on services and submit fraudulent billings. Likewise, elected leaders want to balance their budgets by limiting healthcare costs. Hence, the federal and state governments promote a quality of life “ethic” that devalues the ailing, the elderly and the disabled so that patients are not always regarded as persons, but as commodities. And that is where the excuse to kill almost always starts. After all, politicians know that dead citizens no longer require Social Security, Medicare, Medicaid, hospital care or other services. So savings to government agencies add up to several billion dollars, year after year. Hospices are reimbursed for each day a patient is enrolled, but there is a cap on reimbursement. When the cap is reached, the hospice loses money every day the patient continues to live. Do you think that might motivate some hospices to “encourage” some patients to die? Since deaths in hospice facilities are expected, government officials will not prosecute them for wrongful deaths. We cannot learn how many patients are killed because medical records are private and healthcare workers are forbidden from discussing their patients. The 1996 Health Insurance Portability and Accountability Act regulations provide an impenetrable barrier concealing the details of those who are murdered. You may have seen horrific pictures of mountains of Nazi victims. Our system’s ability to create a private death camp in any healthcare bed is also sinister genius at work. And it is an invisible holocaust that you probably will confront. I have spoken to major media reporters about these cases many times, but their managers refuse to expose it because they embrace the secular agenda and euthanasia. We want to believe that evil will not touch us, but it does. If we should fall ill, we want to believe that we will be cared for, but we might not. Forces pushing the culture of death crush lives as easily as an 18- wheeler truck obliterates a butterfly. Nevertheless, while secular humanists advance their agenda and mislead the naïve, those who honor God do shield the weak. We cannot always protect our loved ones or ourselves, but we certainly should try. Create a document that expresses your wishes for care, making sure that everyone in the family knows and supports your wishes. American Life League’s Loving Will provides a good framework. It’s important to name someone you trust who respects the sanctity of human life as your patient advocate in case you become unable to communicate your wishes. If nurses or doctors refuse to treat you or your loved one for an infection, insist on it. If they intimidate you to stop receiving food or liquids, do not yield. If a hospital or hospice refuses to provide any needed service, obtain the services of a hospice or home healthcare agency that will. The patient has the right to transfer and another agency will help with the transfer. Trusting your instincts to guide your decisions will prevent many problems. Be aware of all medications administered. If medications seem unnecessary but the nurses are forcing them on the patient, the patient has the right to refuse. Don’t allow unnecessary medications. American doctors and nurses no longer wear the all-white uniforms that were a symbol of their pure intentions and a sign that we could wholeheartedly trust them to care. This invisible holocaust isn’t a future possibility; it is now, so do everything in your power to protect yourself and your loved ones. Ron Panzer is president of the pro-life patient advocacy organization Hospice Patients Alliance in Rockford, Michigan.